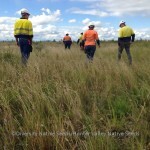 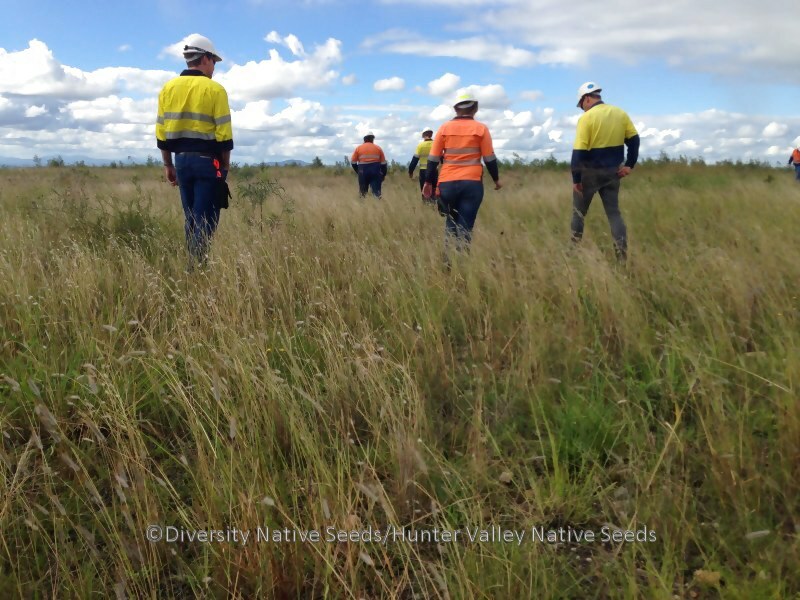 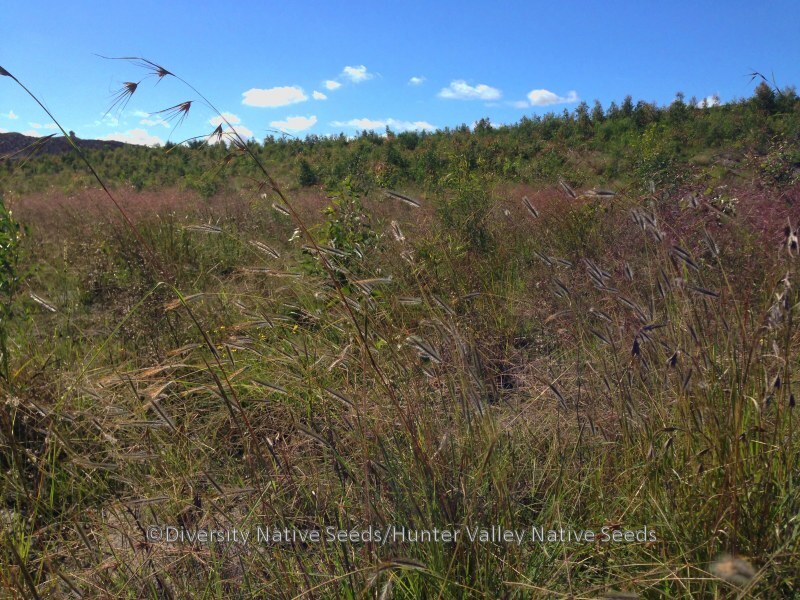 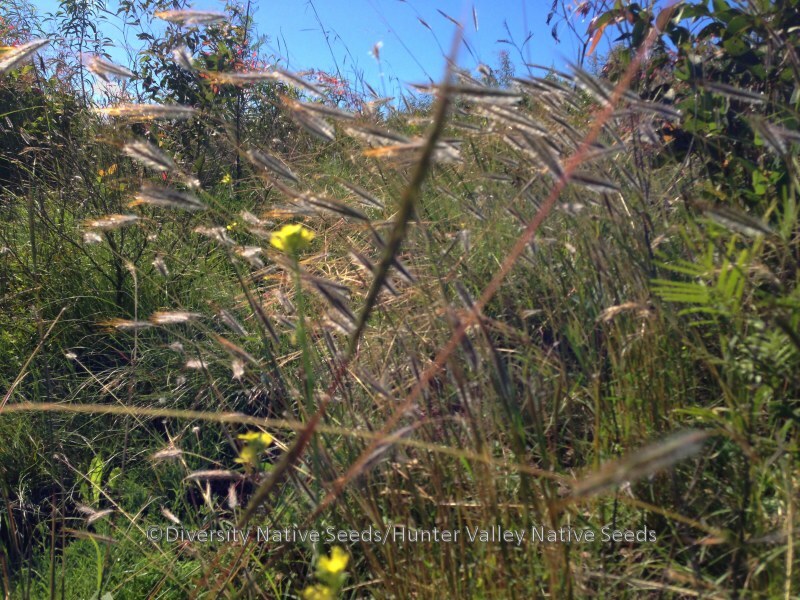 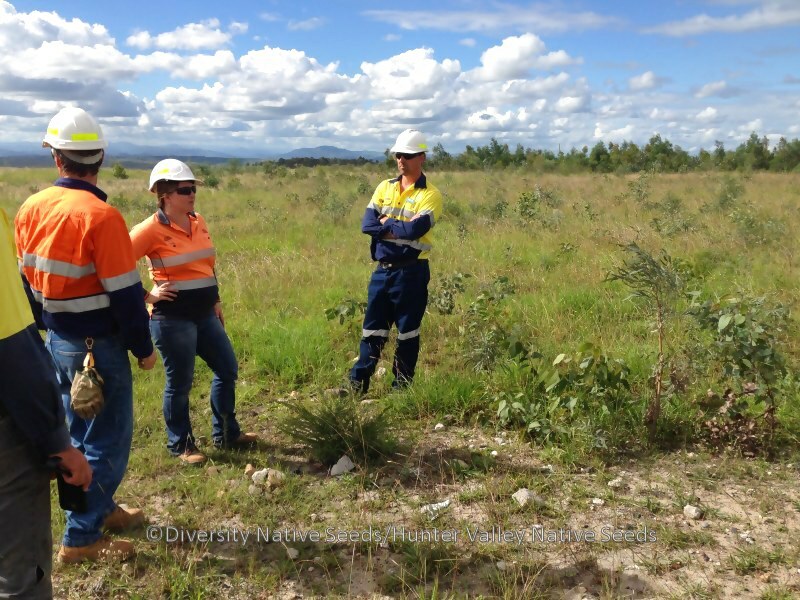 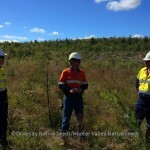 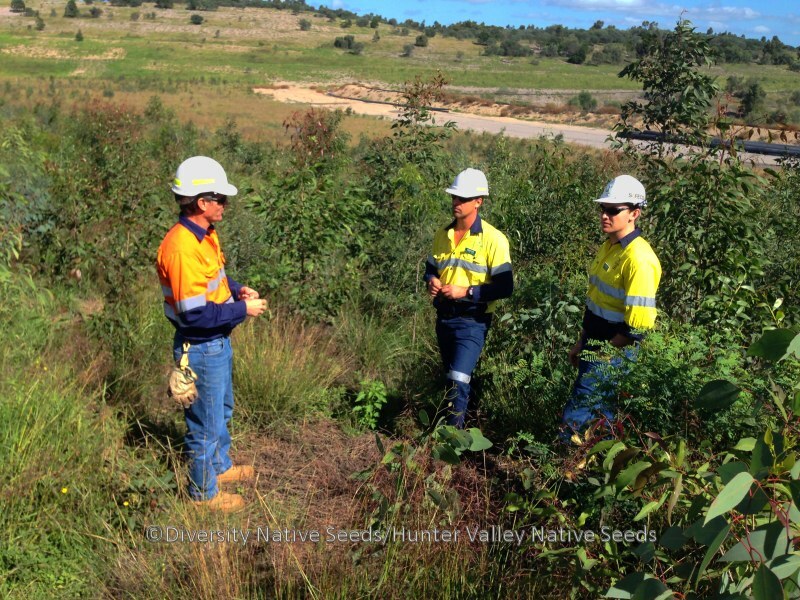 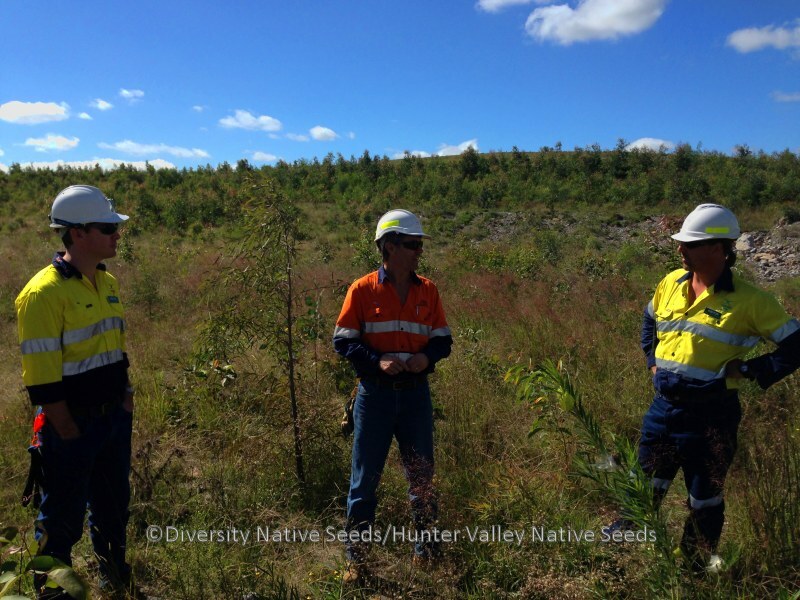 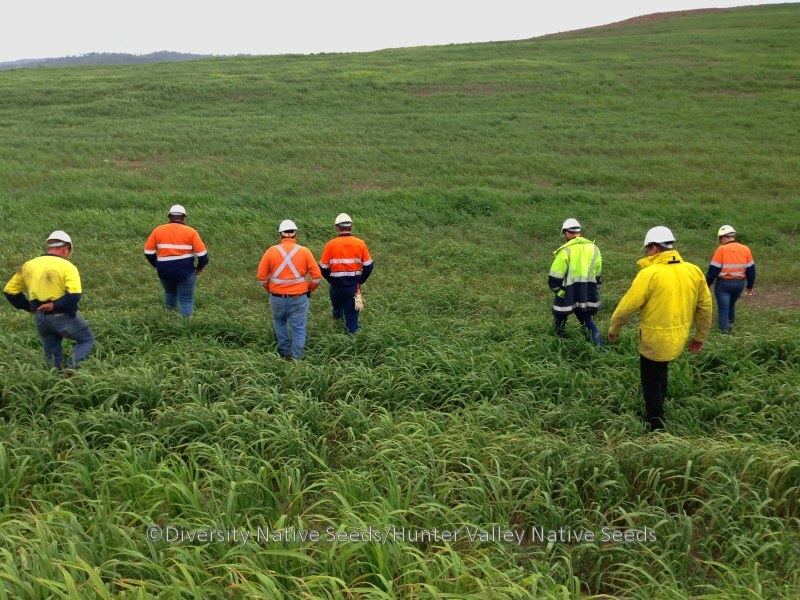 We believe this project represents the most serious and successful attempt to restore high levels of ecosystem diversity in the Hunter Valley ever undertaken. 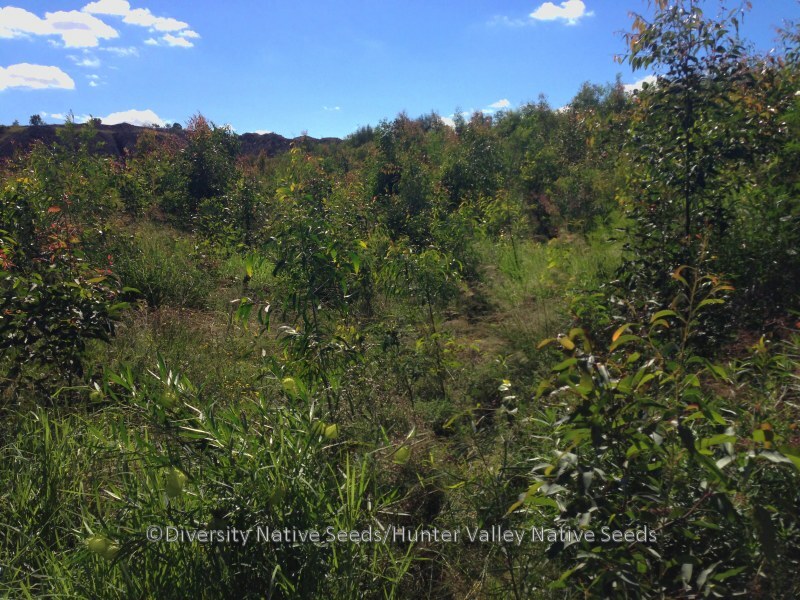 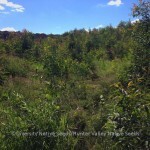 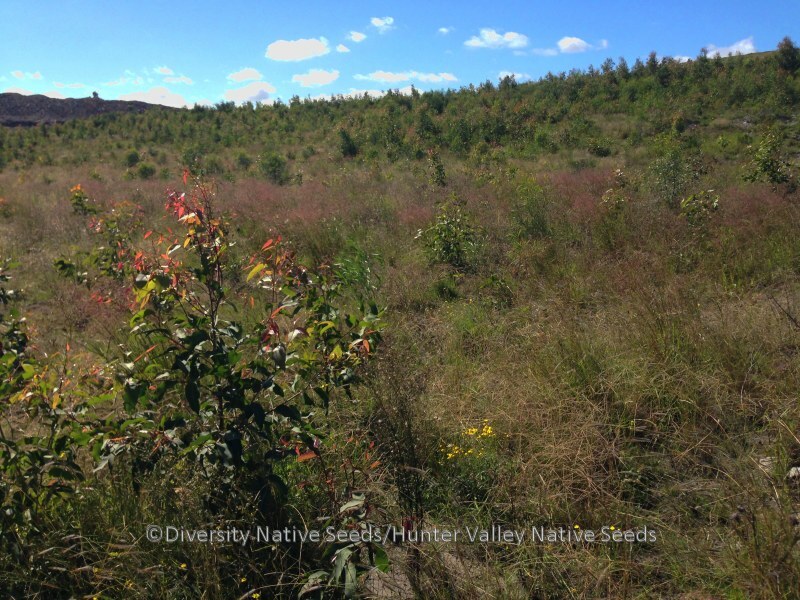 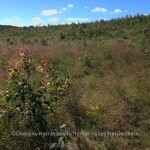 Some of the mixes we have supplied for this project consist of over seventy species of native plant, with a balance of trees, shrubs, subshrubs, grasses and forbs. 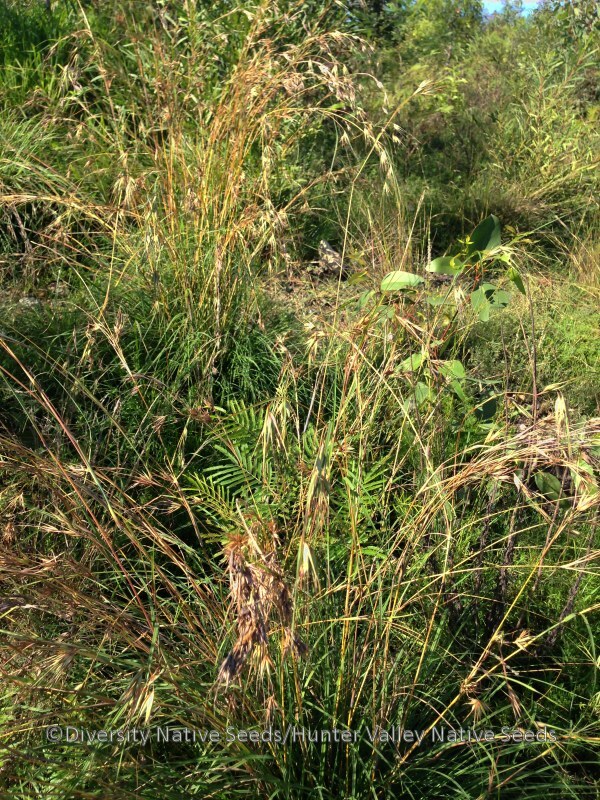 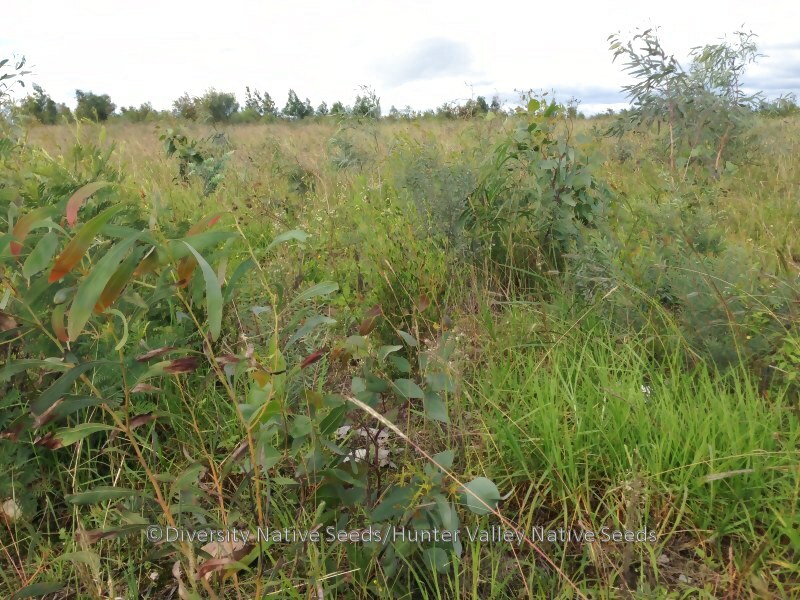 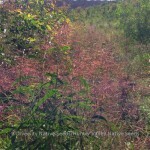 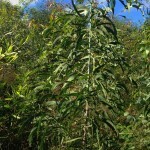 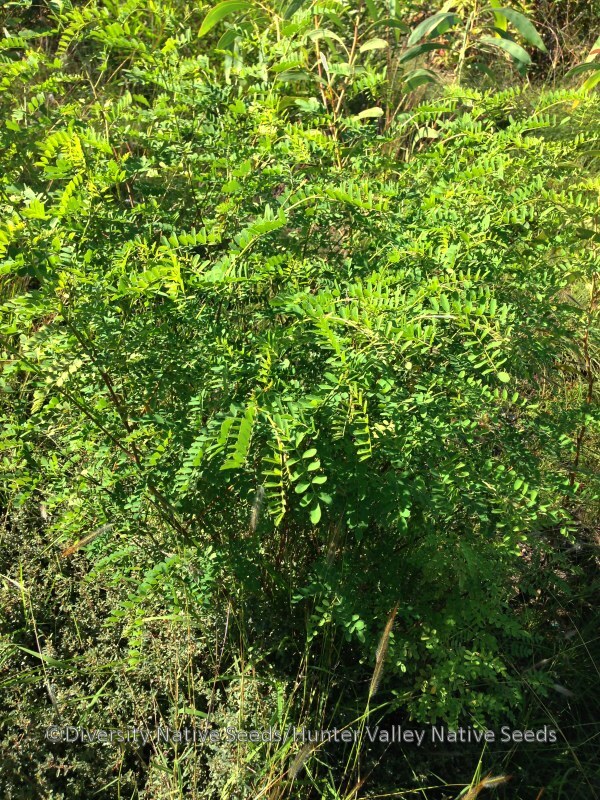 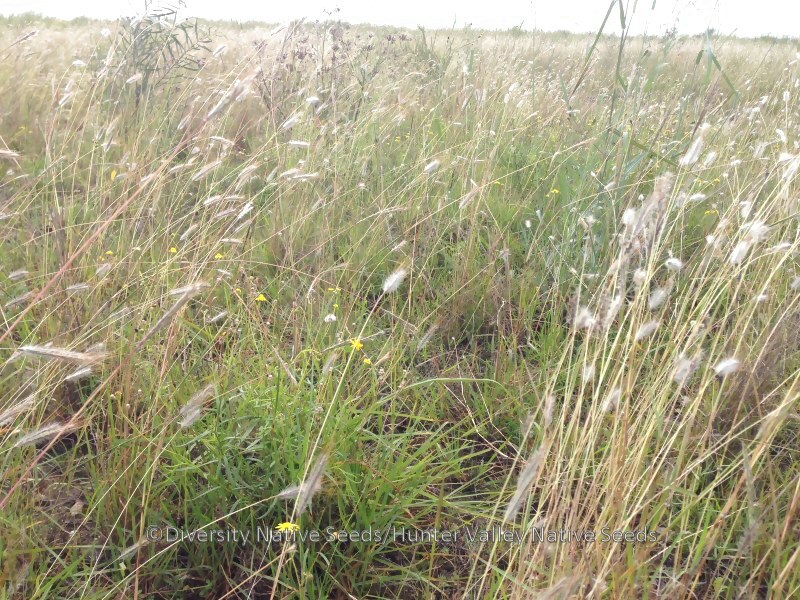 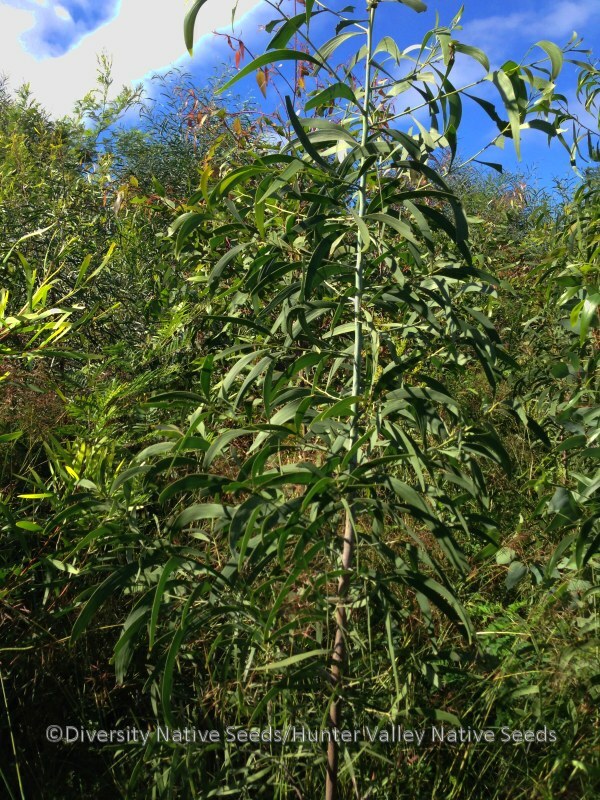 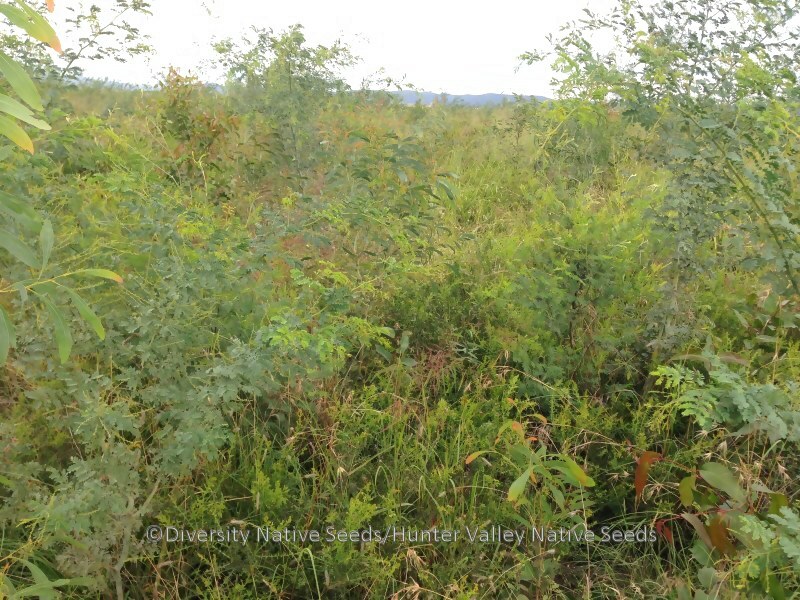 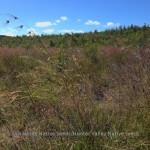 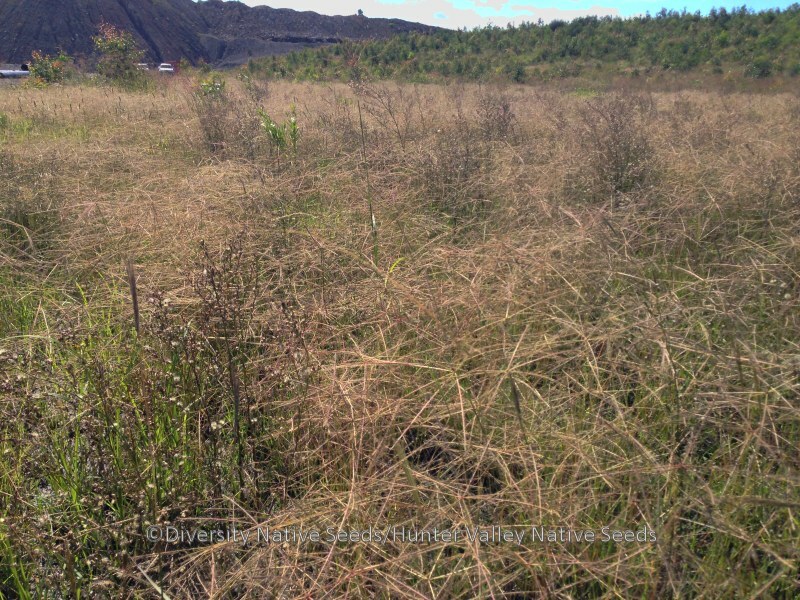 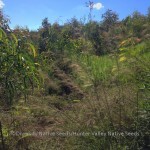 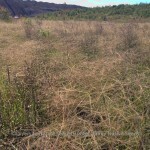 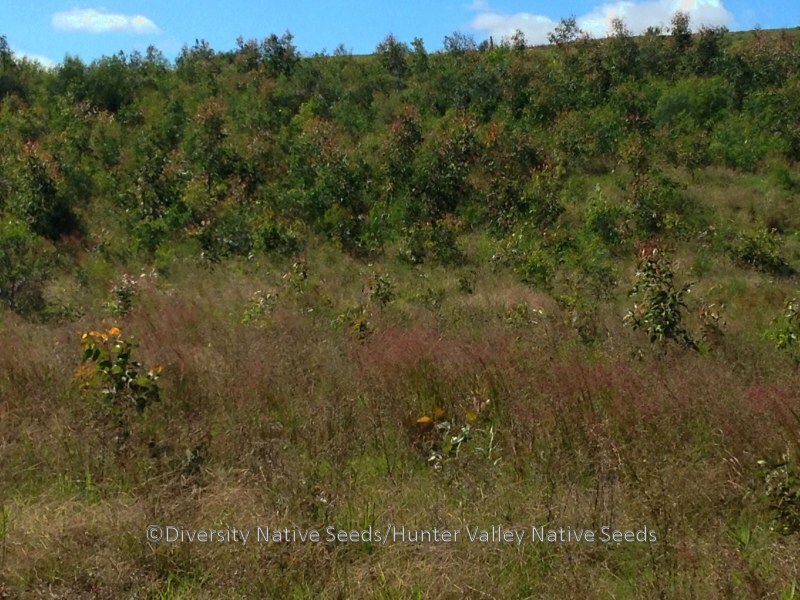 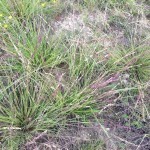 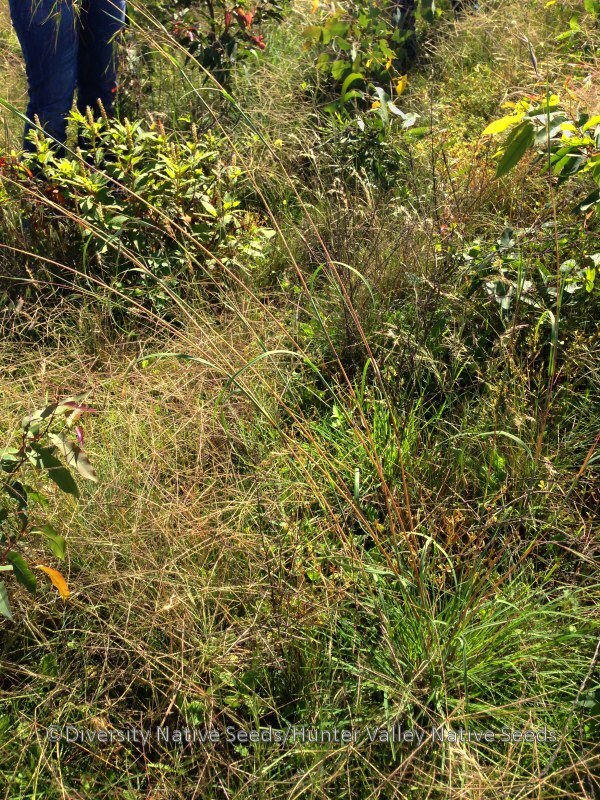 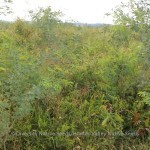 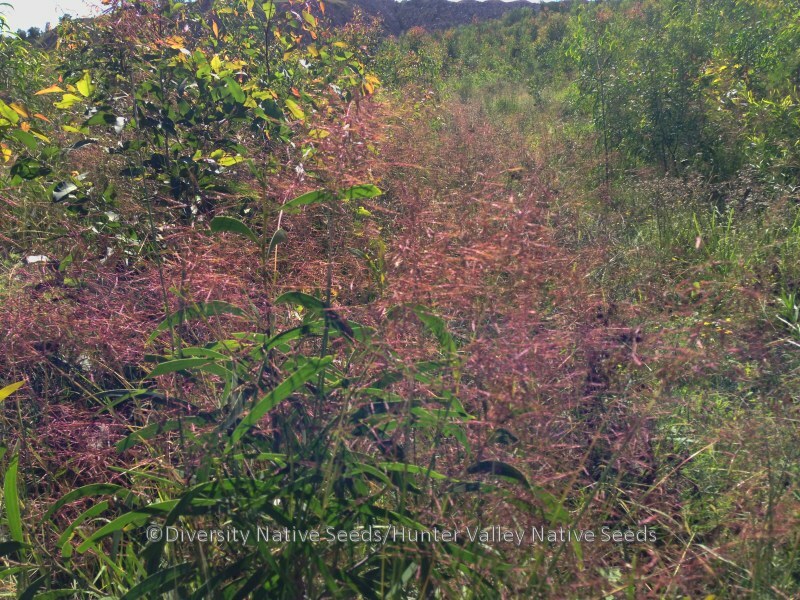 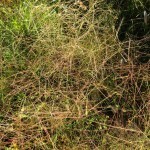 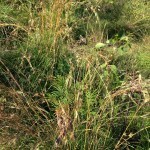 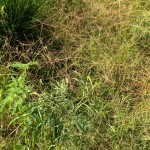 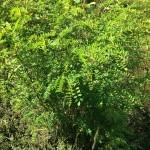 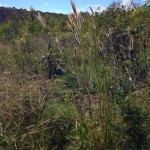 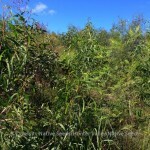 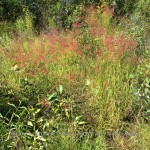 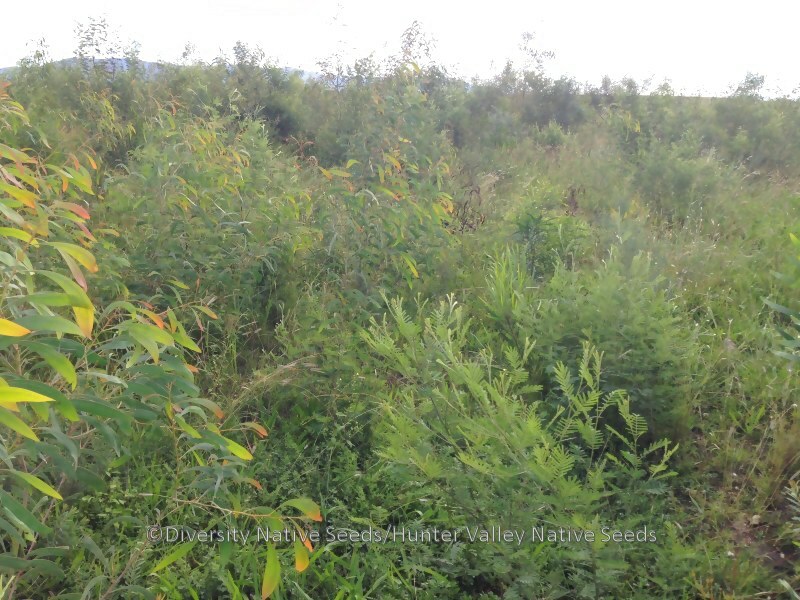 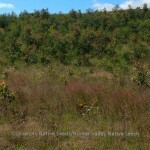 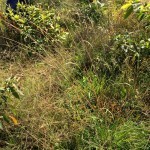 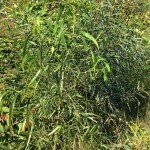 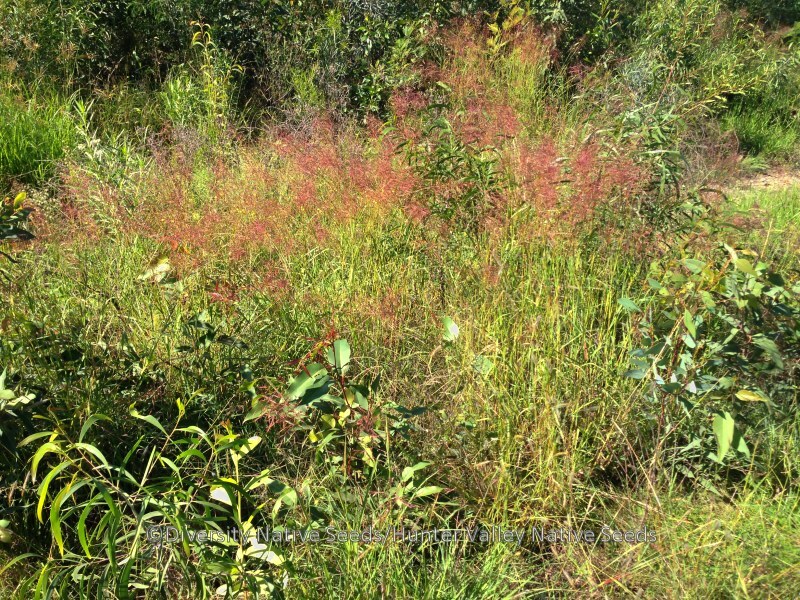 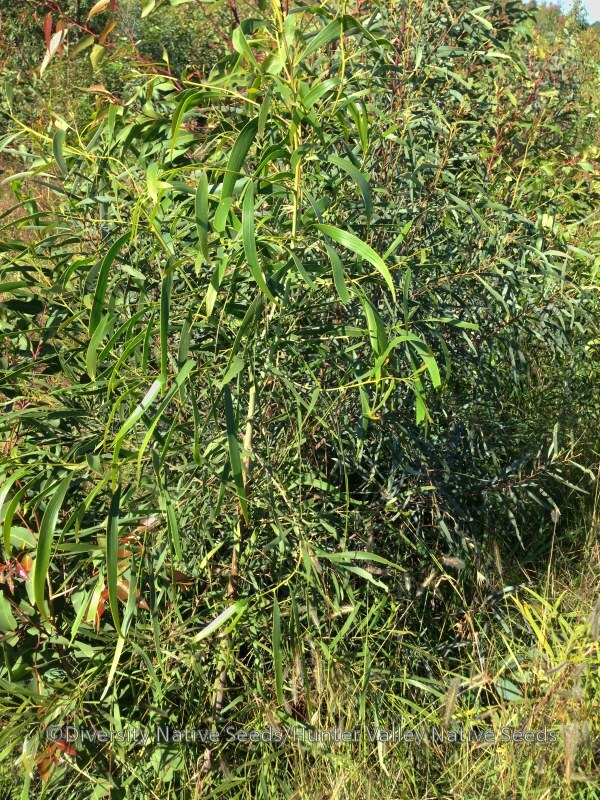 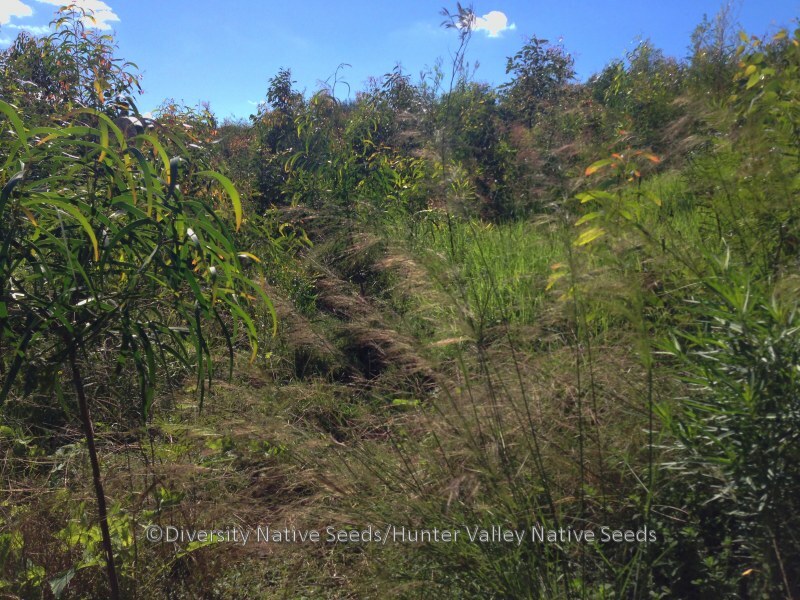 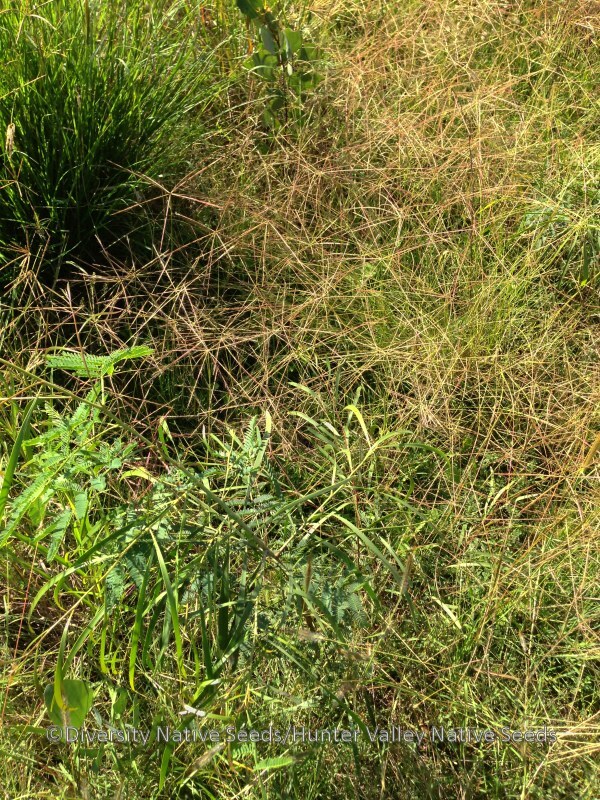 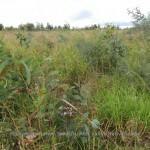 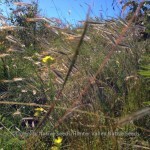 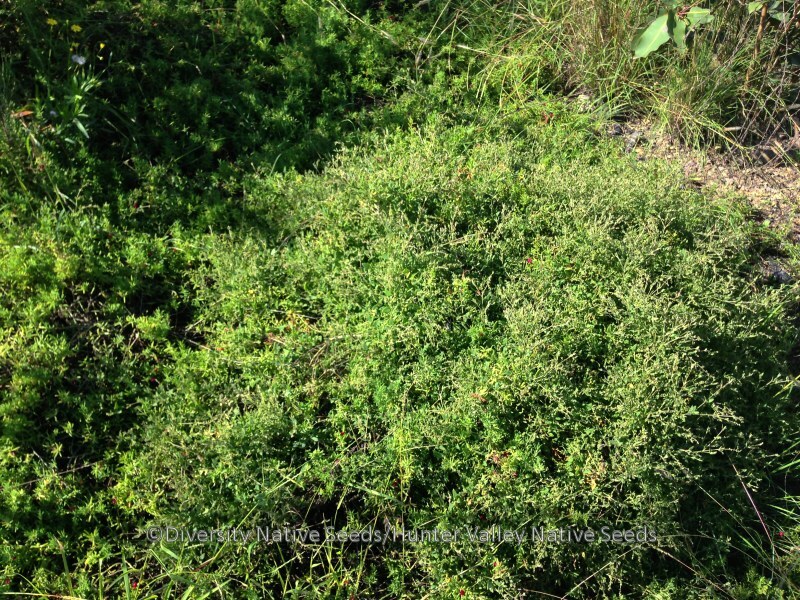 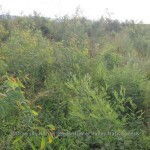 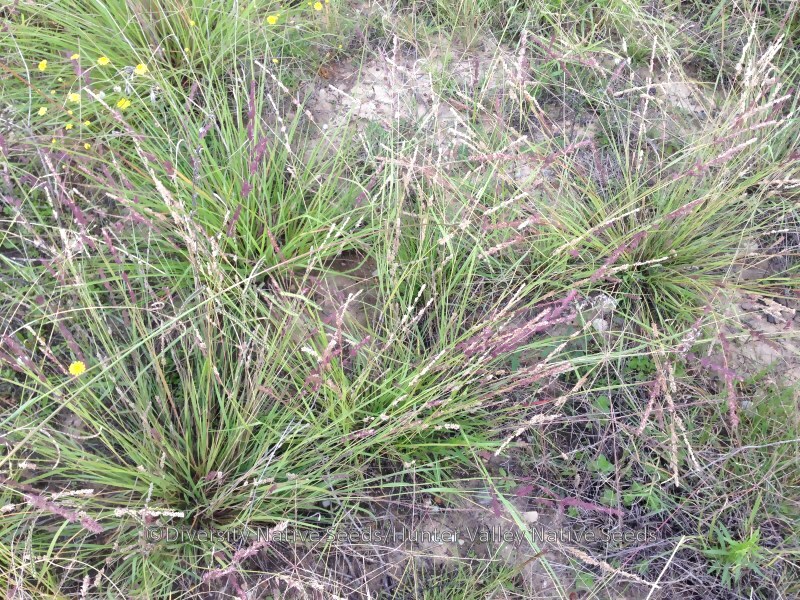 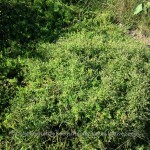 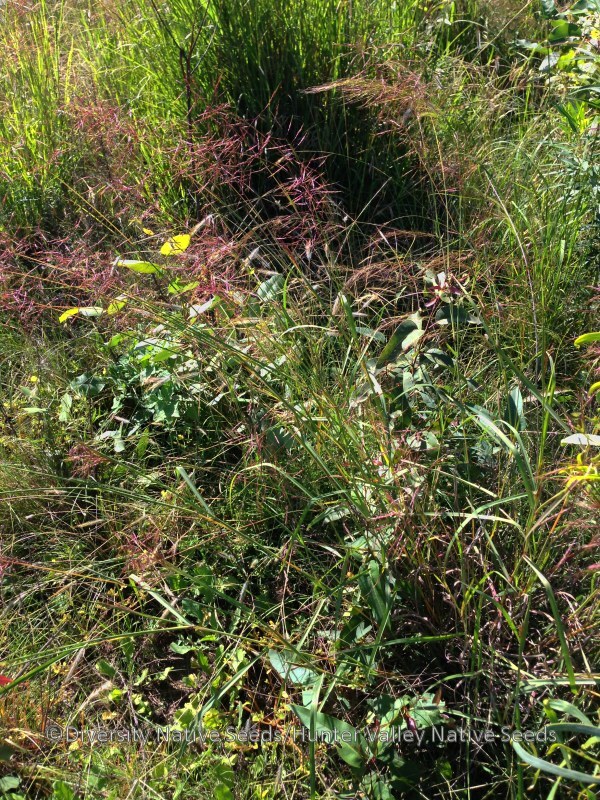 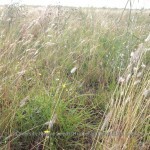 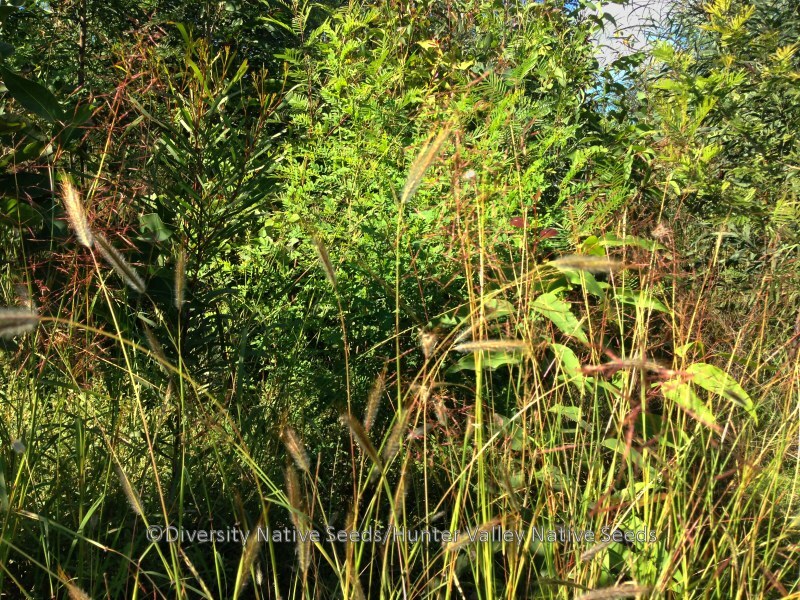 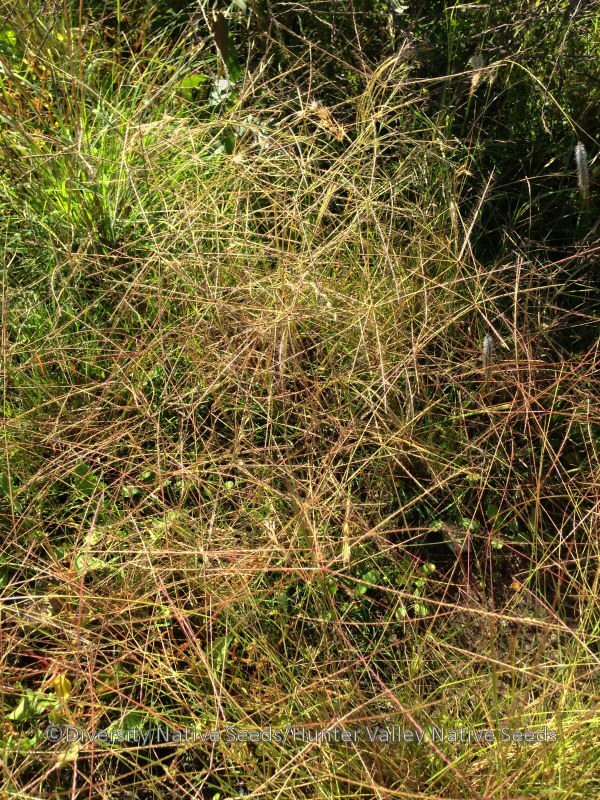 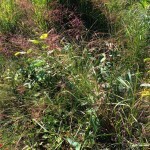 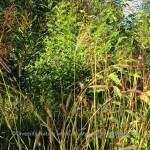 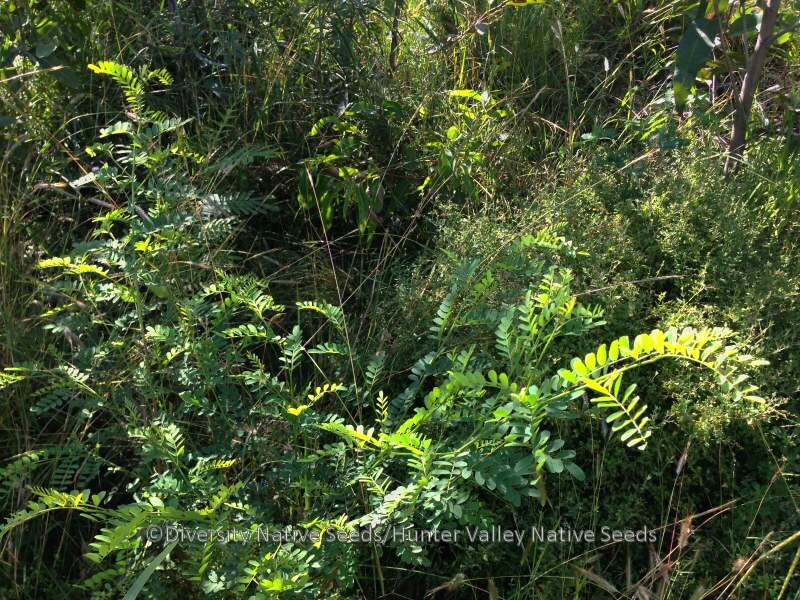 The photos below were taken approximately two and half years after sowing and demonstrate that great success can be achieved with understorey species given correct site preparation and high quality seed. 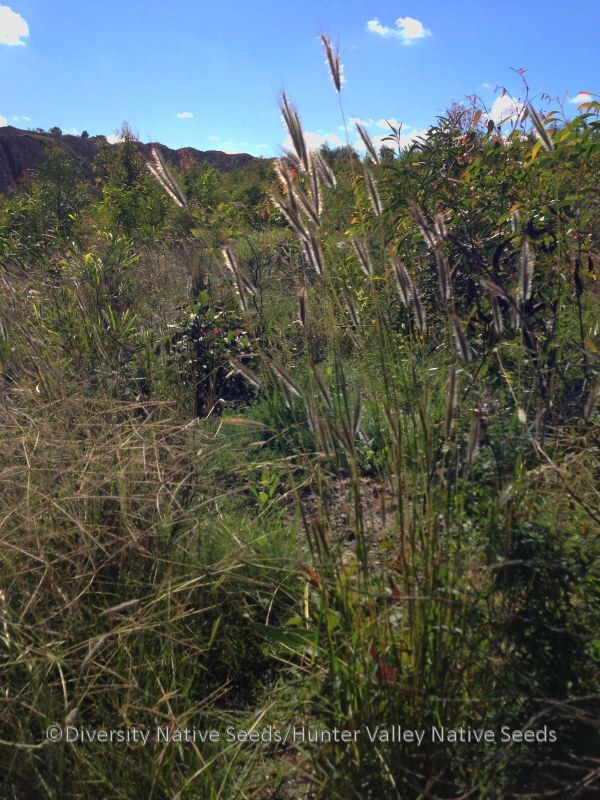 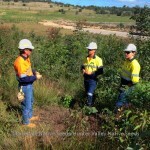 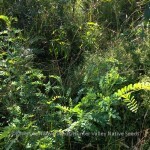 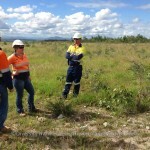 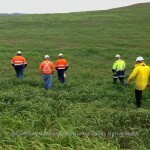 compiling extensive species lists for the Ecological Communities affected by the mine (e.g. 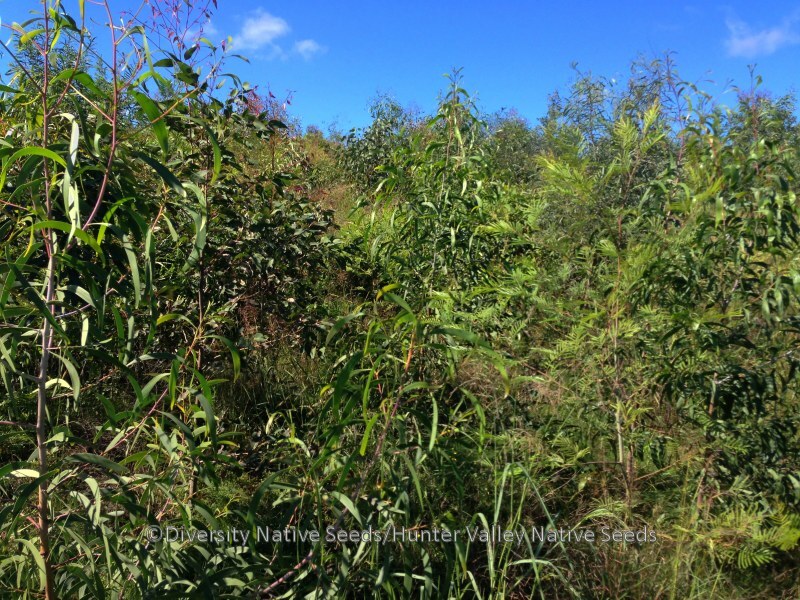 Central Hunter Grey Box-Spotted Gum-Ironbark Forest).